Our hands are real workhorses. Think about it. What do you use to type, wash dishes, brush your hair, write, and drive a car? For something we use so often, our hands don’t get the attention they deserve. 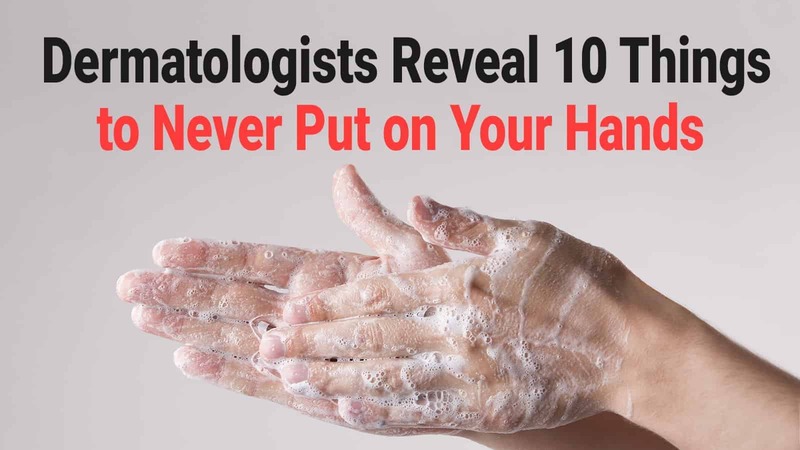 But they should since your hands are indicative of things like hygiene and overall health. Appearance-wise, did you know that your hands are one of the first things that people notice? It’s true. Your hands do leave an impression, for better or for worse. So, what kind of impression are your hands making? To a large extent, the answer to the question depends on what you’re putting on them. 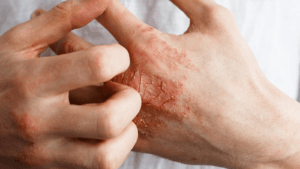 In this article, we’re going to discuss the above topics as well as things you should never put on your hands, according to dermatologists. We’ll also consider some alternatives to keep your hands looking their best! In an attempt to gain more appreciation for our hands, let’s consider a few facts. Each hand contains at least 29 bones and joints. Moving the fingers or thumbs requires 34 muscles – 17 of the hands and 18 of the forearms. Humans, gorillas, chimpanzees, orangutans, and monkeys are the only species with opposable thumbs. Twenty-five percent of the motor cortex in the brain is used to manipulate the muscles of the hands. The sense of touch is the first sense to develop, occurring in utero. There are about 5,000 germs on your hands at any given time. Transmission of bacteria and viruses often occurs via hand contact with others. Many antibacterial products, including soap, contain triclosan – a chemical agent known to induce skin irritation. Triclosan is an antibacterial agent that is also added to many body washes, toothpaste, and cosmetics. Triclosan may also be found in products such as children’s toys, clothing, furniture, and kitchenware. Per the Food and Drug Administration (FDA), no evidence exists that triclosan “provides a benefit to human health” or “provides any (cleansing) benefit over washing with regular soap and water.” In December of 2017, the FDA finalized a rule that prevents the use of triclosan in over-the-counter (OTC) antiseptic products, citing “insufficient data” regarding the chemical’s safety and efficacy. What to do instead: Numerous hand-cleaning products do not contain triclosan. Soap and water, organic washes and other natural products are probably just as effective and may lower the risk of irritating the skin. The entirety of the nail surface above the cuticle is called the nail plate. The nail plate contains an essential keratin protein that helps the nail grow. Gel polish may cause the drying and damaging of the nail plate, which can cause the nails to become brittle, split, thin, or weaken. Moreover, dermatologists are concerned with the UV treatment used to “seal” the polish. More on this later. While occasional – no more than a couple of times monthly – gel treatment is probably okay, it nonetheless increases the risk of damage. Just make sure to remove the product carefully and thoroughly. What to do instead: Look for nail polishes with “5-free” on the bottle. It means that the product is free from the carcinogens that are often found in nail gel and lacquer products. While these products may cost a bit more, you’ll be doing your hands and nails a big favor. Lanolin is derived from sheep wool oil, which is known to cause skin irritation in some people. In fact, many clinical allergy tests use wool alcohols – which contain lanolin – because the product is more likely to cause an allergic reaction than others. Of all skin conditions, lanolin is most often associated with skin dermatitis – a red and itchy rash. Dermatologists estimate that contact dermatitis occurs in about 3 percent of people who apply lanolin. Lanolin is included as an ingredient in numerous products, including hair and scalp conditioner, hand cream, antiperspirant and deodorant, lipstick, and even diaper care products. What to do instead: First, if you’re using products with lanolin without issue, it’s probably safe to continue doing so. Otherwise, shop for products that do not contain lanolin. Categories of hand products that contain lanolin are hand cleansers and hand creams. In this context, the term “UV light” applies both to the sun and light lamps (such as those used for nail treatments.) 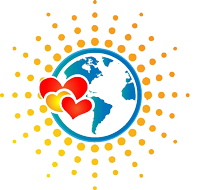 While the human body does require some sun exposure daily – about 20 minutes – exposure beyond this period increases the risk for sunburn and other issues. The rule for using artificial UV lights is rather straightforward: don’t do it. This rule applies to tanning as well, according to the Skin Cancer Foundation (SCF). “A tan – whether you get it on the beach, in a bed, or through incidental exposure – is bad news,” says the SCF, because “tans are caused by harmful (UV) radiation” which result in skin cell damage. What to do instead: Don’t tan or use artificial UV light products. Limit your sun exposure and always apply sunscreen when heading outdoors. Thankfully, dermatologists aren’t suggesting abstaining from heat (which would be crazy); instead, they recommend not pointing a source of heat directly onto exposed skin. Heated air and hot water, when directly applied to the skin, extract the skin’s natural moisture and causes dryness and itchiness. What to do instead: By all means, use a heater if you must. Just make sure to direct the airflow away from exposed skin. When showering or bathing, use lukewarm water instead of hot. Similar to other soap products, dish soap can absorb essential skin lipids and other moisturizing elements. Dish soap may also damage the skin barrier which protects the surface of the body directly underneath. 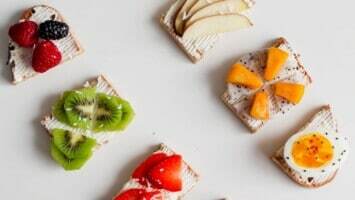 What to do instead: Per Health Magazine, there are plenty of alternative dish soaps that may help those with sensitive skin; including varieties of brands such as Dawn. Anyways, dermatologists insist that latex is highly allergenic in people who use rubber gloves on the regular. But unless you work as a hands-only dishwasher or you are someone who wears gloves often (e.g. doctor, researcher, etc.) you’re probably okay. What to do instead: If you have sensitive skin, it may be worth looking into water-absorbable gloves that don’t contain latex. Otherwise, use an alternative dishwashing soap and wash with your hands or a utensil. Allergy or sensitivity to petroleum isn’t all that uncommon. Symptoms of such include itchiness, runny nose, and watery eyes. 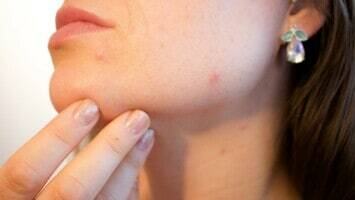 Skin symptoms resemble those of contact dermatitis and include redness, itchiness, and rashes. Respiratory problems may also occur, which may be life-threatening. Besides allergy, petroleum-based hand creams leave the skin quite greasy, which may be problematic if your work involves the use of your hands. Consider using a hand cream with glycerin instead of petroleum. What to do instead: Instead of petroleum-based hand creams, some dermatologists recommend those with glycerin, which also hydrates the skin but is much less greasy. What to do instead: While some dermatologists recommend abstaining from hand sanitizer, moderate usage is probably just fine. If you have sensitive skin, look for a hand sanitizer with less or no alcohol. Dermatologists don’t have too many good things to say about manicures, mostly because of the harmful products that salons put on your hands and nails. Some “dermas” also complain about the nasty infections they’ve seen due to nail salons not properly sterilizing tools. What to do instead: As we’ve mentioned, skin specialists warn against going to the nail salon. If you must get your monthly manicure, search for a reputable salon that is highly rated by customers. You might also want to ask the nail technicians about how the salon sterilizes its tools and safeguards customer health. If they seem unwilling or unable to answer such basic questions, go somewhere else.